SecuritySolutionsWatch.com:Thank you for joining us today, Kirk. Please give us an overview of your background and your role with GE’s Residential Security business unit. 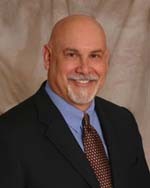 Kirk MacDowell: I recently celebrated my 27th year in the security industry; many of those years as an owner/operator as well as a professional manager running large regional security alarm companies. Several years ago, I was recruited by GE Security to head up the Residential Marketing Team. That team oversees our elite dealer program -- Security Pro, our Marketing Distribution Team, as well as our GE Home Technologies and strategic initiatives on the residential side of the business. SecuritySolutionsWatch.com: One will read in a recent press release from one of your strategic partners, iControl Networks, that, “Home Security 2.0 represents a new consumer experience that merges home security with Web, broadband and cellular technology. “ Please tell our audience about Home Security 2.0. Kirk MacDowell: Home Security 2.0 is one part of our new interactive initiatives that is taking home security and related functionality to exciting new levels, leveraging the power of the Web to afford homeowners a range of new capabilities. Now homeowners can go beyond traditional home alarm system offerings to, not only, remotely monitor their home's security, but also monitor a whole range of additional functions and activities. With this interactive initiative, homeowners can now leverage Web accessibility to determine when the kids get home from school, whether the dog is misbehaving, see who went into the liquor cabinet, and even address visitors at the front door as if they were home while they are at another location. This integrated solution will provide greatly enhanced peace-of-mind and enable users to stay connected to their homes, families and properties when away. This is good news for homeowners and our partners. SecuritySolutionsWatch.com: What are the integration issues that need to be addressed in implementing Home Security 2.0 and how does GE Security address those issues? Kirk MacDowell: Certain things became crystal clear during our research, which has included conducting focus groups of security users and non-users. First, homeowners want to stay connected to their homes while away. Secondly, homeowners confirmed that interactive services are not only important to security alarm users, but to those not using security, as well. This means adding connectivity to other devices in the home that are not part of a traditional security system. The ability to connect IP cameras for both local and remote viewing of events, and easily configurable lighting controls are just two examples that stretch the capabilities of today’s security system. Every alarm company is interested in penetrating the large percent of non-security users today. We knew that interactive service had to be made available to new installs as well as millions of existing homes with current alarm systems installed. This retrofit model posed some challenges for us. The first was to embrace standard technologies that simplify installation. Certainly this means support for 802.11 b/g, and wireless mesh technologies like Z-Wave and ZigBee, but we have also been a long-time supporter of advancing power line communication (PLC) technologies from the HomePlug Powerline Alliance. Our goal has been to choose the communication technology that provides the best reliability, simplest installation at the lowest overall cost. The resulting solution is a combination of these standards-based technologies that provide a flexible network infrastructure. Additionally, we are focusing our development efforts on creating intelligent hardware platforms aimed at simplifying the installation and deployment of these solutions. The goal is to create a solution so simple to install that it could be self-installed by a homeowner. Clearly we don’t advocate that – but the point is we need to help our dealers reduce labor costs. We can do this in two ways: by cutting the installation time required for a system, and by simplifying the level of skill required to complete an installation so dealers can train new installers quickly – thereby reducing the challenge of keeping and training a team of installers. SecuritySolutionsWatch.com: Please give us an overview of GE Security’s solutions in this space? What is your wireless strategy? Kirk MacDowell: Wireless technology has been and continues to be a key initiative for GE Security. Within the past month we have launched new and innovative wireless products as part of our new Design Line wireless family. Wireless products are a key component to our dealer’s success. Our wireless management team has worked tirelessly on this new initiative. We're leading the trend with more, better and smaller wireless sensors and related equipment such as key fobs and other controls. As demand for installation capabilities can outstretch the operational capabilities of the dealers, wireless helps to bridge the gap between installation resources and the need to grow the amount of installations a company can do in a given month. Our strategy is to arm our partners with the industry's best wireless components to help them win and complete more installs in less time and at the lowest cost possible. SecuritySolutionsWatch.com: Can you tell us more about GE Security’s relationship with iControl Networks? Kirk MacDowell: We currently have a joint development agreement in place with iControl Networks and our teams work very closely from both the engineering and marketing perspectives. That said, we have had and continue to have a long-standing and great working relationship with alarm.com. We see these two companies as strategic partners, each with their own capabilities with different go-to-market strategies. SecuritySolutionsWatch.com: We also understand that there are other strategic relationships in place with Monitronics and alarm.com, for example. Care to elaborate? Any other key strategic relationships you care to mention? Kirk MacDowell: As a part of our interactive strategy, we are working with a number of partners to deliver broad-based solutions that leverage the latest technology to power cutting-edge solutions for our customers and end users. We gain interactive services from alarm.com while Monitronics delivers the “Home Security 2.0” offering in the U.S. "Home Security 2.0" extends the value of Monitronics’ monitored home security services by enabling customers to remotely access and control their systems. In addition, customers can see live video and pictures of their home, receive email and/or text message notifications of events, and control lighting, thermostats and more from anywhere in the world via their personal Web portal or mobile phone. SecuritySolutionsWatch.com: What are your key target markets and what is your perspective on the market drivers for GE Security Residential solutions at this time? Kirk MacDowell: Certainly our partner dealers are looking at ways to penetrate the 80% of the market that has not yet purchased security today. A security alarm purchase by a consumer is an event-driven purchase –a burglary or a fire are both examples of this. The security purchase might also be driven by the purchase of a new home or even someone going door-to-door selling home alarm systems. Our market research on this has been very enlightening… Consumers want more than security -- they want to be connected. At 3 a.m. the homeowner wants the system to act like an alarm system and be on guard. However, at 3 p.m., they want the system to advise that their children are home from high school and that they haven’t invited over the entire cross-country team. So, it is clear that we see tremendous opportunity in the residential space for our dealers. As more families have both parents out of the home at work with kids coming home to a vacant house, this becomes even more important than just a few years ago. Another key driver is the concept that many homeowners have dropped standard hard-wired telephone service to their homes in favor of mobile phones or the many Voice over IP solutions available today. We have responded in kind with IP modules and cellular solutions giving our dealers the ability to solve this obstacle, thus creating additional recurring revenue opportunities. Kirk MacDowell: SmartCommand EcoCenter is a magnificent product and is coming to market during a time when conversations among family and friends involve topics that often include both the environment and energy prices and how to better manage both. This innovative connected home solution involves a true cross-GE play to deliver the benefits of our broader ecomagination initiative potentially to every homeowner. For homeowners, SmartCommand EcoCenter will be their home management portal that will allow them to control and monitor energy consumption and costs in a variety of new ways. Through energy and water monitoring within the SmartCommand EcoCenter’s functionality, the homeowner will be able to directly see their reduced consumption and the benefits of living in a smart home inspired by GE ecomagination. SmartCommand EcoCenter offers home security, lighting, HVAC, audio entertainment and intercom, plus the ability to monitor and measure energy consumption and savings. The homeowner can look at their color touchscreen and view these savings at anytime – and they can view this in the time range they desire – day, week, month or year. This is an important new development for homeowners interested in being more ecologically aware and responsible. SecuritySolutionsWatch.com: What is your perspective on GE’s competitive advantages in this market? Kirk MacDowell: We are the leader in the integration of technologies to give homeowners new and better solutions to manage their security needs and exercise more control over their home environments. This includes expansive new remote monitoring and control opportunities that leverage the Web in ways that have never been available to the homeowner before. These are outgrowths of our strategic partner initiatives and GE's research and development capabilities including the 8,000 scientists at GE's Global Research Centers and the power of relationships with some of the best dealers in the business that give us direction, council and guidance. We recently hosted a Dealer Advisory Meeting at our Global Research Center in New York. This and myriad similar so-called voice of customer events form the foundation for everything we do at GE Security. SecuritySolutionsWatch.com: Thanks again for joining us today, Kirk. Are there any other subjects you’d like to discuss? Kirk MacDowell: From a GE perspective we understand the value of producing quality security products for our dealers, distributors and ultimately end-users. As we began this interview, I related that I came from the dealer side of the business-- 25 years of direct-to-consumer experience. As a former dealer I was always looking for ways to form true partnerships with the manufacturer – to create ways to grow my business, helping me do more with less. GE Security has bridged the gap between product, program and dealers in a way that allows us to work collaboratively, so our dealers can clearly tell us what they want to see AND help us deliver it. Our interactive services model is more than our job -- it’s our vision and passion for the residential segment. Our Security Pro channel continues to grow and we have added new products and services exclusive to our channel partners. Our regional Security Pro training conferences hosted by GE Security and our dealers, our annual GE Authorized Dealer trips, have and will continue to be a highlight of our programs. Additionally, we launched our GE Money initiative, giving our dealer’s customers access to capital. Since our recent launch of the program, we have seen a significant number of dealers sign up to offer this valuable incentive to their customers. Dealers tell us that when they use the program, their average sale can increase threefold. We have, in the past communicated to our channel partners that we would deliver to them the “Power of One GE” and we are all proud to be a part of the team delivering on that promise.